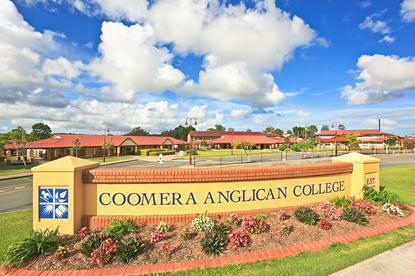 IT services provider Panther Data has helped Queensland's Coomera Anglican College avoid risks from power quality vulnerabilities with Eaton's solution. The Brisbane-based provider was tasked with installing a new uninterruptible power supply (UPS) at the college, as its old critical system threatened to disrupt the education of 1,500 pupils. The project evaluation process started in December 2017 with implementation taking place in June. The school’s former infrastructure was two years behind where it needed to be and on the verge of a major blackout. Although the college had not experienced any significant IT issues, critical systems, which included data servers and internet, were becoming increasingly at risk. Any failure or disruption would have made a significant impact on the 1,500 students and 200-strong workforce who rely on the college’s IT infrastructure, according to the firm. As such, Panther first installed Eaton’s UPS to provide a reliable system that would allow servers enough time to back up files and shut down equipment during blackouts. “Power quality is an area we feel is critical in any environment especially in education, where digital learning technologies are so prevalent that teaching staff and students cannot afford any disruption,” said Maritsa Pavone, business development manager at Panther Data. Following this, Eaton designed a fully integrated micro data centre, which was installed by Panther Data, in order to improve the physical security of the college's IT infrastructure and also to provide improved environmental controls. “The micro data centre is a unique product that you don’t see much in the education space but through this hands-on demonstration we could see its full value and how it would help us achieve cost savings by optimising our air-conditioning alone,” said Darryl Hall, IT services manager at the college. “It’s one less thing to worry about, our IT resources no longer need to be assigned to monitor environmental conditions, instead they can be allocated to classrooms to help the College achieve its technology goals," Hall added. The micro data centre can be managed remotely and is able to isolate individual power supplies and provide issue alerts and warning, according to Eaton. Established in 1997, the college takes students from Kindergarten to Year 12 and manages 1,000 personal devices. Last year, the college selected ASI Solutions to take over the management of its server and networking infrastructure. The agreement covered all back-end IT infrastructure – physical and virtual servers, the storage array and both wired and wireless networks across the campus. ASI Solutions provided 41 virtual servers running on Dell PowerEdge and HP ProLiant D360 physical servers, 37 HP 2920 network switches and an EMC SAN that provided 100 terabytes of capacity.